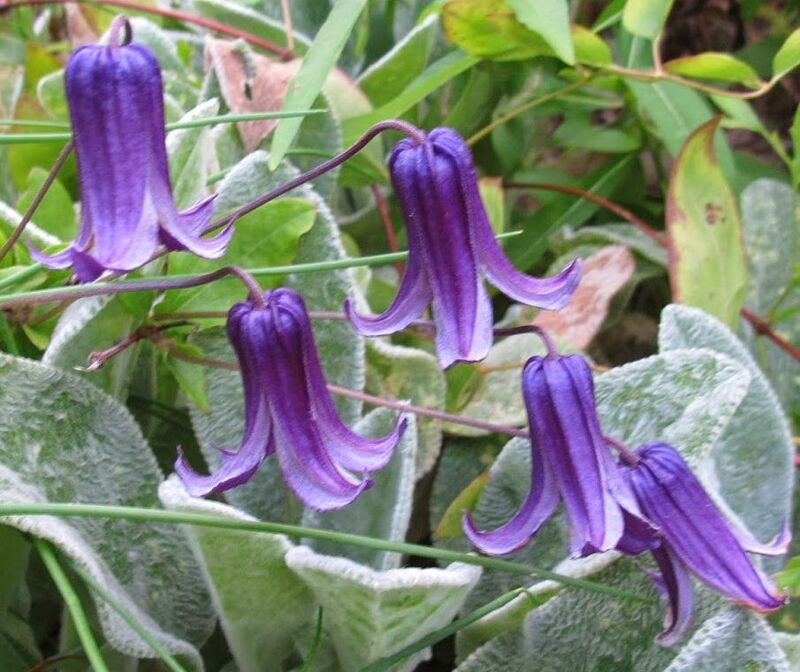 Clematis Rooguchi, a new integrifolia type to our nursery in 2014, has nice purple/blue coloured nodding flowers from june to September. 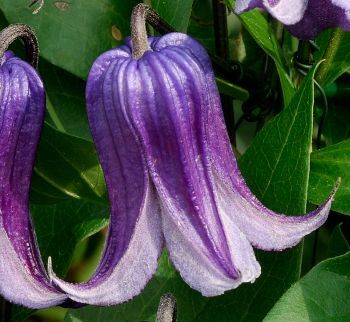 This Clematis Rooguchi is a non clinging type, so would work well at low level giving nice ground cover or growing through other herbaceous beds and borders. Raised by Ozawa in japan back in 1990. 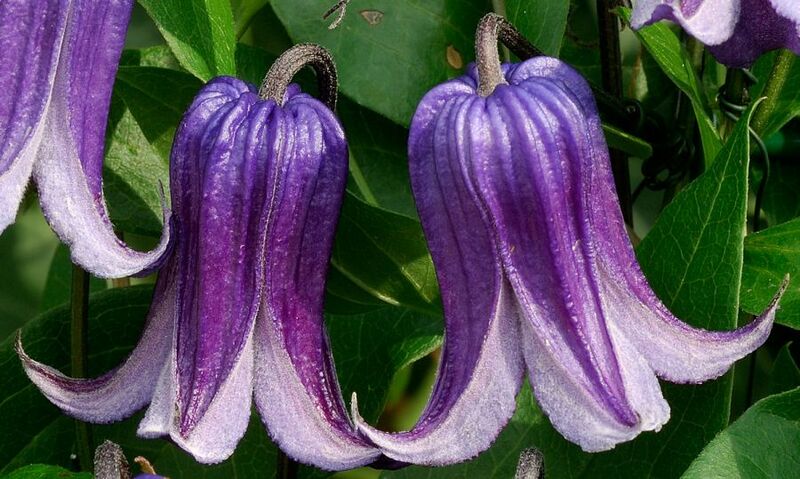 Clematis Shoppers online: 429 .